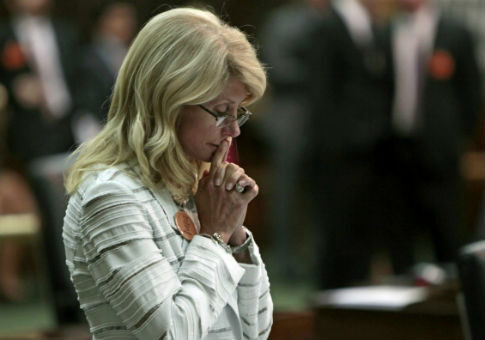 Former Texas Democratic state Sen. Wendy Davis claimed in a new op-ed that gun control is a feminist issue, arguing that women are more likely to be victims of gun violence. "Women are disproportionately affected by guns in America, and now they're leading the fight for gun control," read the subheadline of Davis' piece in Cosmopolitan. "While gun safety may not seem like a feminist issue at first blush, it doesn't take too much digging to see that women are uniquely vulnerable to and disproportionately the victims of gun violence," Davis argued. The opposite is true, however; statistics show that men are far more likely than women to be the victims of gun violence. In 2015, the gun homicide rate for men was 19.3 for every 100,000 Americans, according to the Kaiser Family Foundation. By contrast, the rate for women was six times lower, at 3.2 per 100,000 people. According to the FBI, men in 2010 made up about 77.4 percent of homicide victims nationwide, indicating that men are also disproportionately likely to be killed by guns compared to other forms of murder. Men are also far more likely to be the perpetrators of gun violence. This entry was posted in Issues and tagged Guns, Wendy Davis, Women. Bookmark the permalink.